A roadside bomb kills three U.S. troops and one civilian contractor near Bagram Airfield, Afghanistan. A roadside bomb kills three service members and a contractor near Bagram air base, north of Kabul. 2018-10-18 Afghan general and Kandahar police chief Abdul Raziq Achakzai is assassinated by one of his bodyguards during a high-level meeting inside the governor's compound with U.S. general Austin S. Miller. Gen. Miller escaped unharmed according to officials while the governor was critically injured. The Taliban claims responsibility. 2017-07-24 U.S. Defense Secretary James Mattis criticizes The Pentagon for wasting US$28 million for Afghan woodland camouflage that did not match the country's terrain. 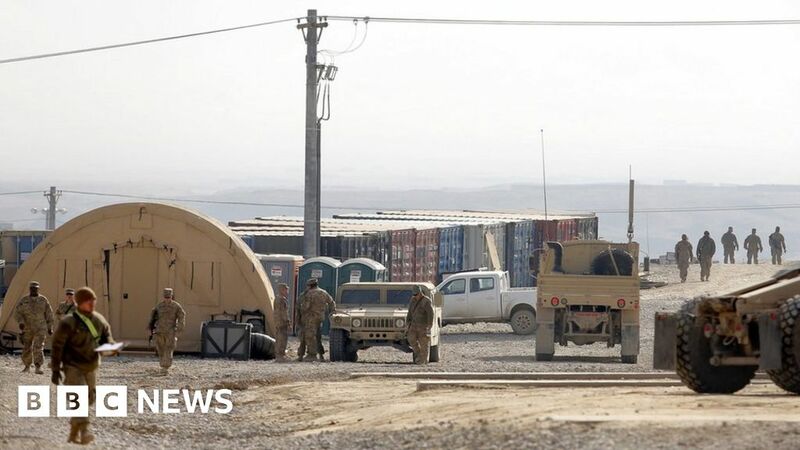 2015-12-21 A suicide-bomb attack on a joint Afghan-U.S. patrol near Bagram Air Base in Afghanistan's Parwan Province, kills at least six U.S. soldiers and wounds another six. The Taliban's spokesman, Zabiullah Mujahid, claims responsibility for the attack in a message on Twitter. 2013-02-24 President of Afghanistan Hamid Karzai orders the United States to leave Wardak province amid allegations of torture associated with US special forces. 2012-05-26 The Parliament of Afghanistan approves a strategic pact with the United States which should see US troops present in Afghanistan until 2014.